Flappy Bird and the Game Developers. It all started with TrainYard, I think in 2010, when an indie developer got his simple app in the Appstore Ranked First. He said it was downloaded 30k times a day when it was at number 1 spot. All the developers were calculating how much money he could have made and started flooding into mobile development. 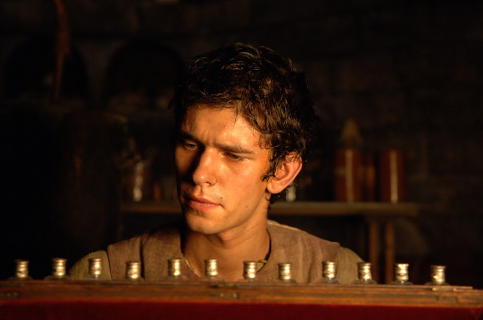 To be frank, I also go into the programming thinking of money , earning millions of money. I had so many ideas for games with so many features and mind blowing effects for each of them. But, It did not take much time for me to learn that it is not going to work that way – as an indie, you have to work on simple games with the only goal in your mind – Getting as many happy players as you can. If they share some happy experiences with you, it should be your reward and you should just be happy with that. That defines a game developer. If you have watched “The Perfume” movie, you would know about the 13th note. I believe every addictive game has its 13nth note. When you develop a game as an indie, you might not have the resources to add all the first 12 notes. but, if you can add that 13th well, you might have a hit- Remember -” you might”. I have no idea what that 13th note is, and I doubt anyone have a formula for that, but you will feel it when you hit it. In 2011, with Tiny Wings, the hype started again. Though Tiny Wings was based on an ugly looking flash game, Andreas spent 8 month on searching for that 13th note. Because, if you are a programmer and if you think a bird sliding on hills with no purpose would make a hit game, your must be insane. Moreover, that concept is very difficult to fit in to most of the game design theories out there. But, Andreas managed to hit that 13th note. I felt it when I was playing that game even before it became a sensation. I was talking about that game with my friends and colleagues. What was that 13th note? Was it the Smoothness and happiness of that sliding bird or was it the lonely bird relating to us who are feeling left alone in this vast world? I don’t know. But, many of the Tiny Wing clones which came after that, couldn’t hit that extra note. Tiny Wing is still in the top charts raking at-least 10k a day for the developer. He is a real game developer, because if you look at his life before Tiny Wings, he never gave up whenever he missed to hit that 13th note. Now, lets come to Flappy Bird. Dong Nguyen took down his precious bird today from the stores. I feel very sad for him. He has been working in this industry for last 10 years and never gave up. 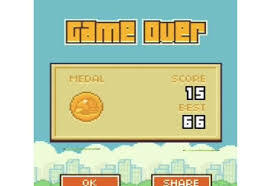 This flappy bird too failed him when it was released almost an year earlier. This qualifies him as a real game developer because he wasn’t there for huge money. I don’t know why he took down his game but, I am sure he will still be making 70k a day from through ads and thousands of his twitter followers will make his next game a hit the first day of its release. It makes me happy. 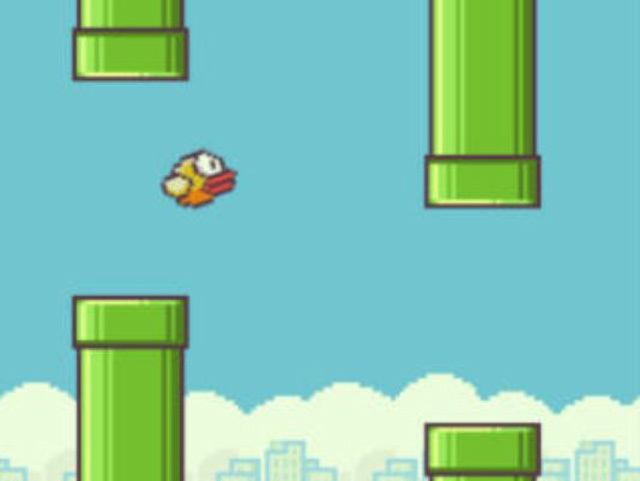 Flappy bird became famous because few people started a review war based on it. 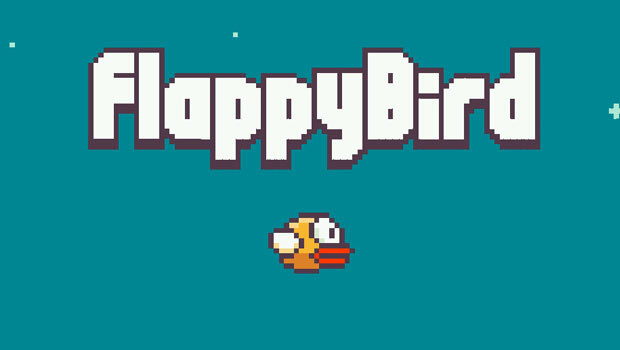 It is luck which made flappy bird to be selected as a game for that review war amongst the millions of mobile games out there. 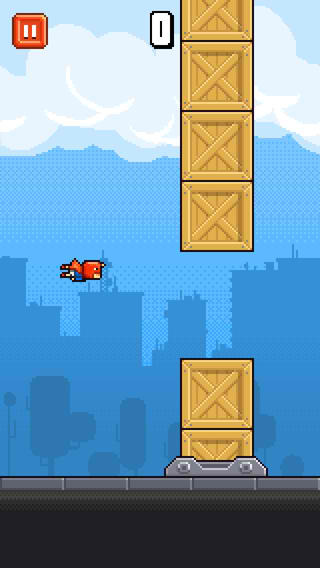 But, you should admit that, flappy bird was not not even close to the crappy loads of its clones out there. It was a good game. When a player accidentally or by repeated playing FlappyBird for while found should have found out the pattern and then he would have challenged his friends just to see them look amazed at him. And then his friends should have started the review war. But, why this game. I am sure there are at least 50 more games with 13th note lying at the the bottom of the app stores. Those 500 players who played those game would have missed to tune to the 13th note. But how come this game emerged to from the bottom. I think I can call it “Luck”. Everyday, thousands of people become millionaire by just buying lottery tickets. It is something like that. Do we envy them ? [ if they are our friends then may be yes, otherwise, No: We forget about it the next day. But, I met many developers who were having a hatred like feeling towards Dong and his success. To be frank I also envy Dong, because he has the talents to be in the lottery pool. Not every developer can participate in the lottery, because you should make a game which has that 13th note to be part of it. I still don’t have those talents. But, this envy feeling drives me more towards making my first game, because I have never thought a simple game has a chance to get 50+ millions players. I want to make a game which at least could be played by 1000 people. And those thousand people should write to me that they played their game and loved it. So, I am making a simple game now. And, I thank Dong for making me doing that.